Flashforge 3D printers are highly reliable Desktop 3D Printers, suitable for Hong Kong teachers, engineers, designers, and families to do 3D printing. Flashforge 3D printers, designed for education, engineering, design, and home, include Adventurer3, Guider IIs, Inventor I & II, Finder, Dreamer, Creator Pro FDM (FFF) 3D printers, and DLP 3D Printer Hunter. The Flashforge Hunter is a DLP (Digital Light Processing) 3D Printer, which can print highly detailed print-out. Hunter DLP 3D printer use photopolymer resin as a printing material for 3D printing. As it can print whole layer of model at one time, the printing time is generally much faster than SLA 3D printer. The x-y axis resolution of Hunter DLP 3D Printer can be up to 0.0625mm, while its layer height can be up to 0.025mm. As Hunter DLP 3D Printer can allow user to use 3rd party resin for 3d printing, user can have more choices regarding the type of resin they can use such as castable resin, tough resin, biocompatible resin. Therefore, Hunter DLP 3D printer is very suitable to print highly detailed mechanical model, figure, casting metal and so on. 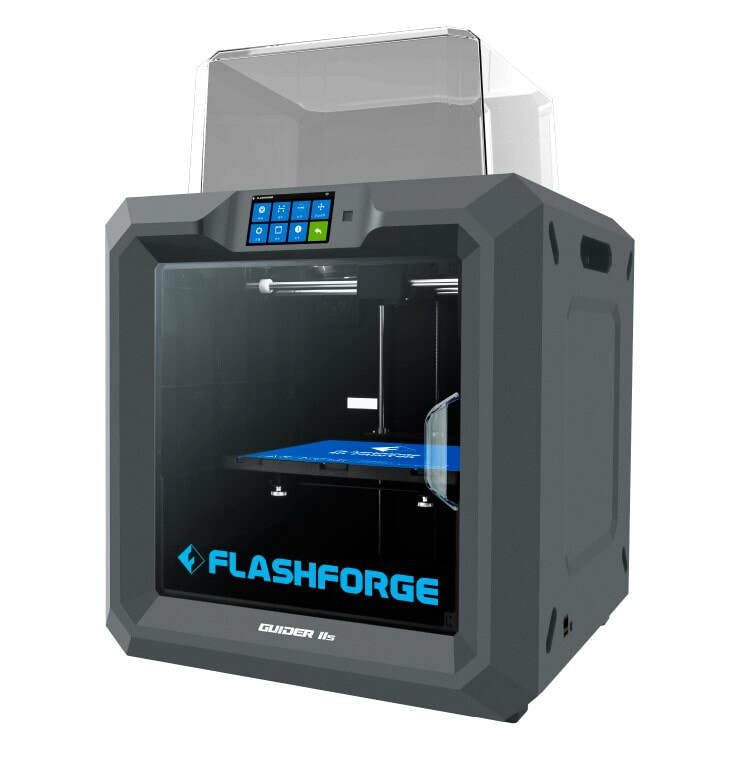 Flashforge Adventurer3 is a new generation single nozzle 3D printer, which has embedded with many new features, including easily removable extruder Structure, removable & heatable bendable Plate, being able to monitor with built-in camera and print via cloud connection etc. Flashforge Inventor I is a dual nozzle 3D printer, which allows users to print 2 colors or materials at a time. The embedded inner temperature controlling system also all ensure the good printing quality. Flashforge Inventor II is a smart, quiet, and easy-to-use-single nozzle 3D printer, which is very suitable for kids and schools. Inventor II's noise level is as low as 50db. With the embedded intelligent sensor, the printing process will be automatically paused when a door is accidentally opened. ​​Flashforge Finder is a 3D Printer suitable for beginner. Finder is a single nozzle 3D Printer which allows users to do 3D printing with PLA materials. As Finder 3D Printer comes with contained hot components and non-heated build platform, it is safer for users to do 3D printing as they are protected from high temperature. Flashforge Dreamer 3D Printer is equipped with 2 extruders, which allows users 3D printing a model with dual colors and dual materials. 3D Printing a model with 2 extruders with Dreamer 3D Printer is not difficult at all because dual color/ dual material 3D model gcode file for 3D printing can be generated with ease by using the easy-to-use 3D printing slicing software Flashprint. The compact design of Flashforge Creator Pro 3D printer is very suitable to be used in Hong Kong. Creator Pro is a dual nozzle 3D Printer which is especially suitable for 3D Printing maker and open-source lover. In additional to user-friendly Flashprint, users can also freely choose other 3D printing slicing software to 3D print their model with the open-sourced Creator Pro 3D Printer. Besides, The multi-functional printing chamber of Flashforge Creator Pro enables users to do 3D printing with better quality by freely removing from or putting the lid on the Creator Pro. Flashforge Guider IIs, same as Guider II, is a large scale single nozzle 3D printer, which can print up to 250L x 280W x 300H mm. When there is a power cut, Guider IIs can resume the printing job. Guider IIs has been upgraded to have an air filter device. Also, through the cloud connection, users are able to monitor and print a 3D model with Guider IIs. Guider IIs has a built-in filament detection system. When material is used up, it will notify the user. Flashforge Creator Pro 3D printer has been voted as one of the best 3D printers in the Enthusiast category in a global popular online community 3D Hubs in 2016. The paid professional 3D printing & slicing software Simplify3D is now compatible with Flashforge Dreamer 3D Printer. 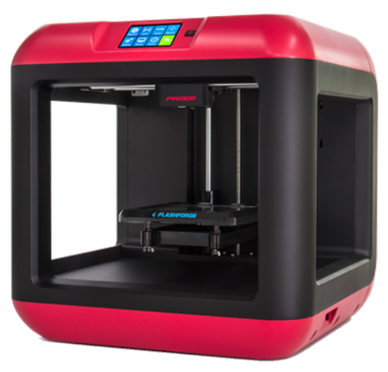 We are glad to introduce the Flashforge Dreamer 3D printer, which gives good value for money on current market.